LMAC Photography has been so privileged to have several domestic and international publishings. This particular image was published in the national edition of The Knot. This groom is a tattoo artist and this is how he proposed to his bride. 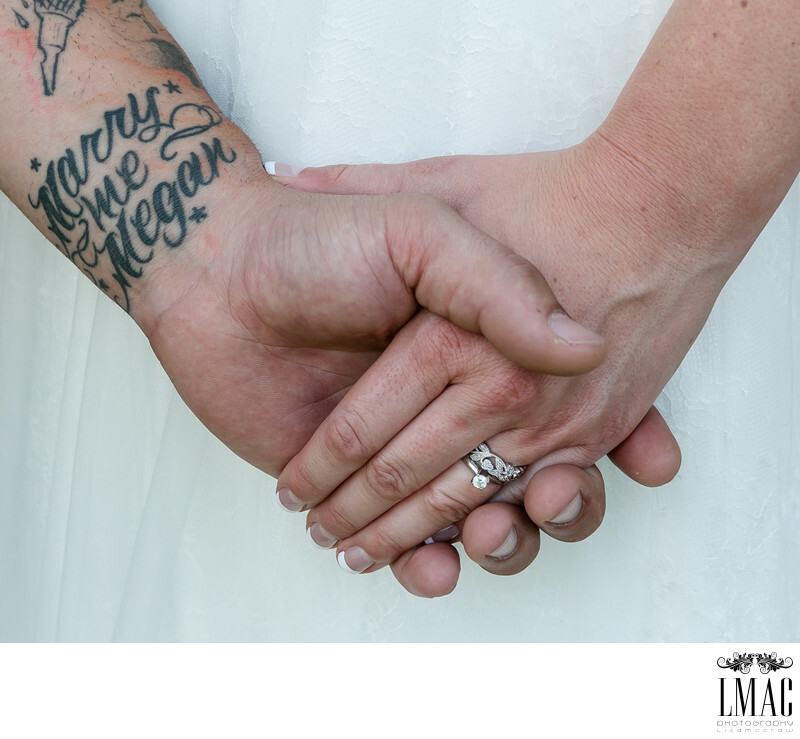 Many of the bridal party also had beautiful tattoos and they became part of the main focus of the wedding photography. It made for some beautiful an colorful images. This bride and groom were married at the beautiful Welshfield Inn located in Burton, Ohio. Both ceremony and reception were held at the Welshfield Inn. It's a wonderfully rustic wedding location with barns and fields. This couple also incorporated a motorcycle into their bride and groom portraits. LMAC loves an artsy and edge bride and groom! Location: 14001 Main Market Rd, Burton, OH 44021.